Award-winning architects, however, were a little less fond of the project. Brown and Storey say that the noise walls being built as part of the project will “offer no collateral benefits for the city” according to a press release. 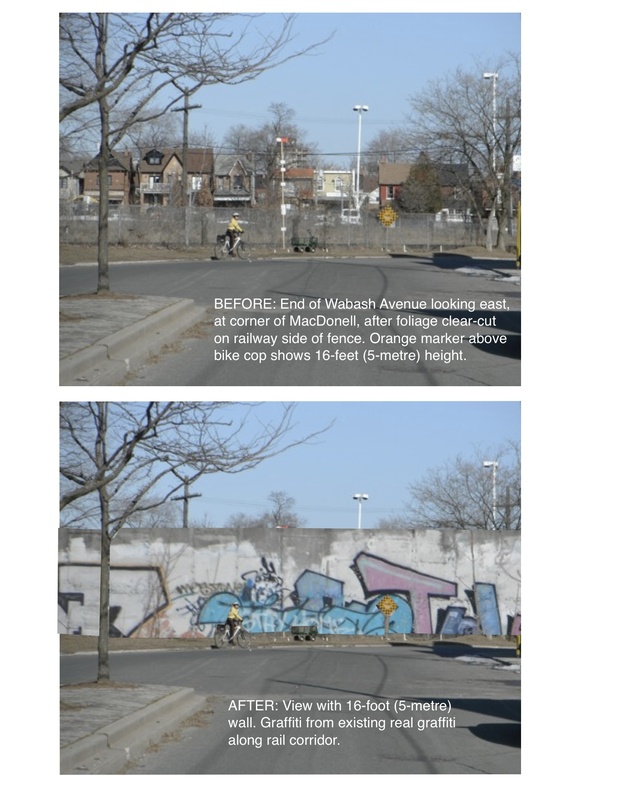 The Junction Triangle Rail Committee published some rather shocking pictures of what they project the walls will do to a downtown park. Wow property values of the houses facing that concrete wall will probably tank big time. If electrification of the tracks happen from the beginning we wouldn’t have deal with these ugly walls. They’re probably going jack up the fares put sales taxes etc..we going pay for this mess for a long time.